Hamlet is Shakespeare's longest play, and is considered among the most powerful and influential works of world literature, with a story capable of "seemingly endless retelling and adaptation by others." 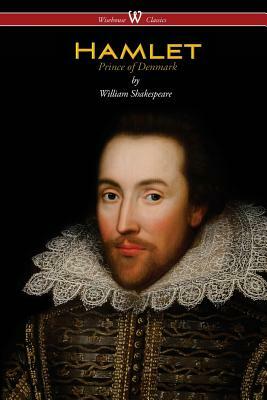 The play likely was one of Shakespeare's most popular works during his lifetime, and still ranks among his most performed, topping the performance list of the Royal Shakespeare Company and its predecessors in Stratford-upon-Avon since 1879. It has inspired many other writers--from Johann Wolfgang von Goethe and Charles Dickens to James Joyce and Iris Murdoch--and has been described as "the world's most filmed story after Cinderella." The story of Shakespeare's Hamlet was derived from the legend of Amleth, preserved by 13th-century chronicler Saxo Grammaticus in his Gesta Danorum, as subsequently retold by 16th-century scholar FranCois de Belleforest. Shakespeare may also have drawn on an earlier (hypothetical) Elizabethan play known today as the Ur-Hamlet, though some scholars believe he himself wrote the Ur-Hamlet, later revising it to create the version of Hamlet we now have. He almost certainly wrote his version of the title role for his fellow actor, Richard Burbage, the leading tragedian of Shakespeare's time. In the 400 years since its inception, the role has been performed by numerous highly acclaimed actors in each successive century.